The solution contains all tools and features for full-fledged server protection. Features include the resident shield and on-demand scanner. Scanning tasks are served by a single engine, significantly reducing system load. Content passing through HTTP, FTP and SMTP protocols is thoroughly scanned for threats. Malicious code is filtered before it can cause any damage to end users on your network. 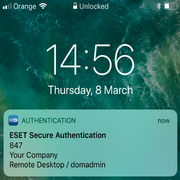 If both Kerio Connect (formerly Kerio Mail Server) and Kerio Control are installed, only one instance of ESET Security for Kerio is required. Allows you to set up rules on file name, file size and real file type. Optimizes scan performance by only checking files that are not blocked. 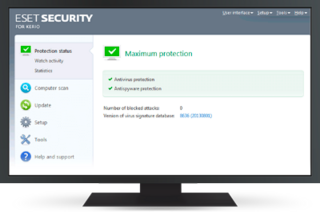 Allows you to run scripts to set up configuration or perform an action, automating the security management of ESET security products. Allows you to customize settings via Kerio administration console Automatically cleans or deletes any infected objects (attachments). Downloads updates from the Internet or from the local mirror server. 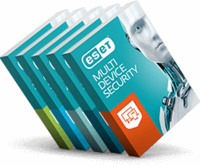 Uses the same update packages as other ESET security solutions. Features antivirus and antispyware plug-ins for Kerio Connect (SMTP and POP3 protocols) and Kerio Control (HTTP and FTP protocols). Powered by the advanced ThreatSense® technology combining speed, accuracy and minimal system impact. Provides full support for ESET Security Management Center. Remote installation and automated integration with Kerio Connect / Control.